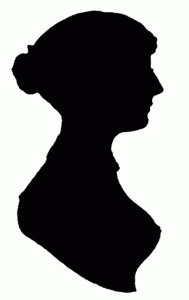 The Jane Austen Book Club returns on Friday 11 May at Orange City Library to chat about Northanger Abbey from 12.30pm. This book was written in the late 1790s, but published only posthumously. It is the story of a deliberately ordinary heroine named Catherine Morland. The book is divided into two parts. In the first, Catherine travels with family friends, the Allens, to Bath. There she meets two brother-sister pairs — John and Isabella Thorpe, and Henry and Eleanor Tilney. Her own brother, James, joins them and becomes engaged to Isabella. Catherine is attracted to Henry, a clergyman with witty and unorthodox manners. Cowra Library will host a discussion about Jane’s most famous novel Pride and Prejudice (think Darcy and Elizabeth) from 11am – 12pm on Friday 11 May. Dear readers, I think Jane would be most pleased! Posted in About Us, Book Clubs, Cowra, Events, Jane Austen Book Club, National Year of Reading, News, Orange and tagged Jane Austen. Bookmark the permalink.